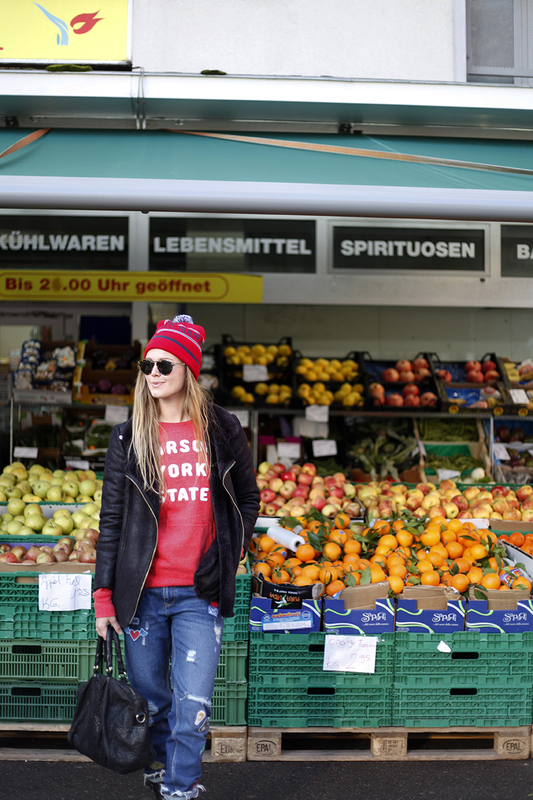 Walking through Zurich with the roomies from bellemelle and karmafoodie is one of the best things I can image to do on a weekend. So many cute places to go for brunch or a coffeebreak. We went for a place called "Zum Guten Glück" where you can have amazing pancakes and a wide selection of brunch dishes. As we always were black in winter I decided to add some funny pieces and bring a bit of color in my wardrobe. As long as there is no spring in sight you need to make it up by your own. 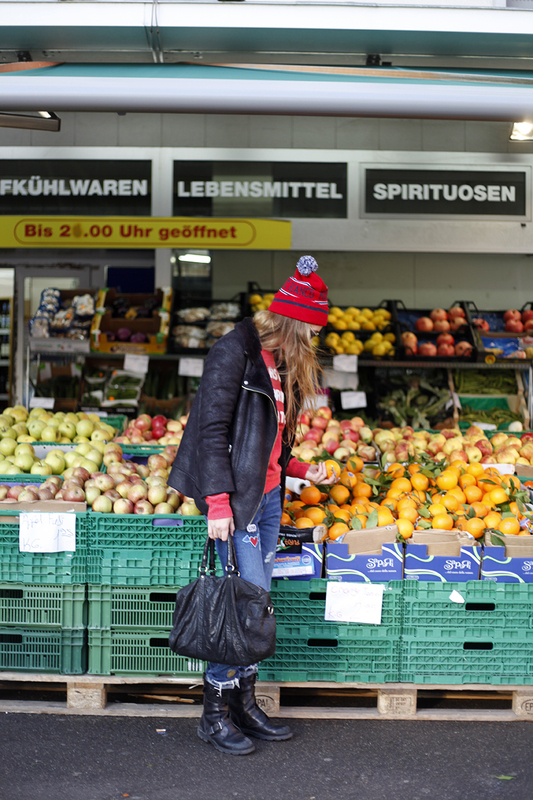 Grabbing some fruits at this fantastic little market makes wintertime a bit easier too.